Our Club will consist of five knitted mystery knit-along shawls in four shipments sent every three months. Each shipment contains all the yarn, beads, stitch markers, etc. that you will need to complete a gorgeous shawl. Each kit is created with a new Wild Prairie Knits pattern along with Stunning String Yarn in a variety of base weights and fiber blends. Each MKAL is themed with lots of fun themed tools and goodies included in every shipment. The annual cost is $299 +shipping, and you can pay in 1, 4 or 10 monthly payments via PayPal or credit card. More details here and past club projects on our Pinterest Board. May 24, 2017 by cindy·Comments Off on Come with us to the Fair! Starting July 1st we will begin our 3rd Club Mystery Knit Along for 2017. 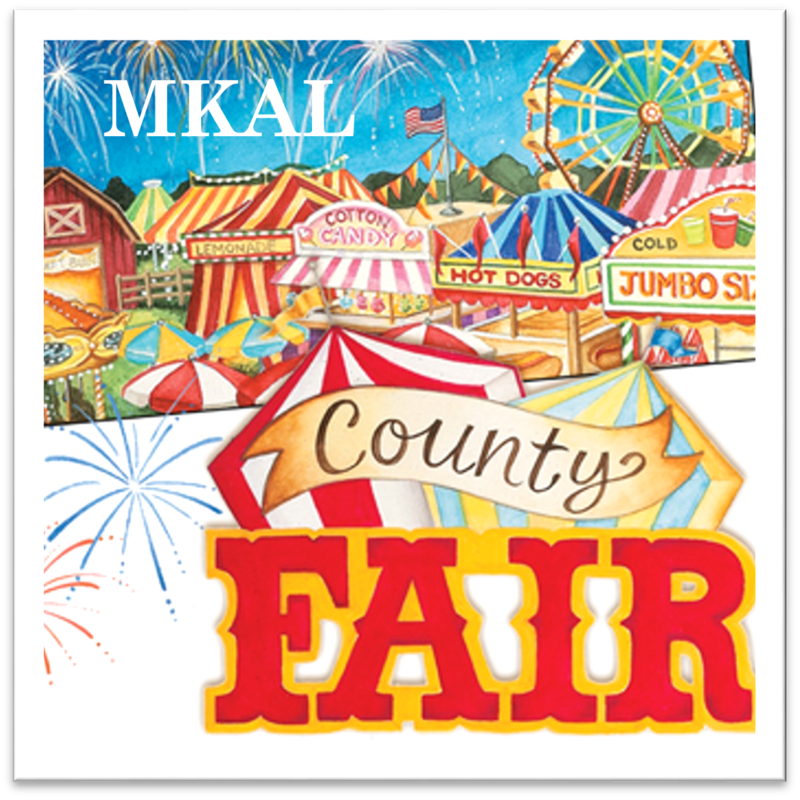 As we knit our projects, we will experience some of the magical wonders of the county fair. This two color shawl and can be knitted in your choice two shapes: a half circle or a ¾ circle; and two sizes: small or large. 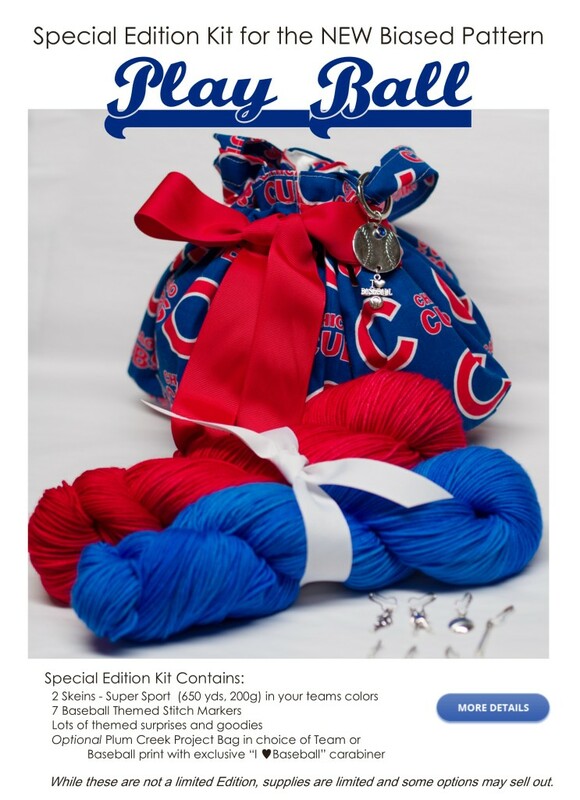 Stunning String Studio has County Fair Kits available in your choice of color that include the yarn, beads, stitch markers and the pattern. You can order yours here. Details can be found on Ravelry here. August 29, 2016 by cindy·Comments Off on WPKnits 2017 MKAL Club opening soon! Our 4th annual Mystery Club opens on Friday, September 2nd at 9:00 am (CST). Details here. May 20, 2016 by cindy·Comments Off on Are you a baseball fan? 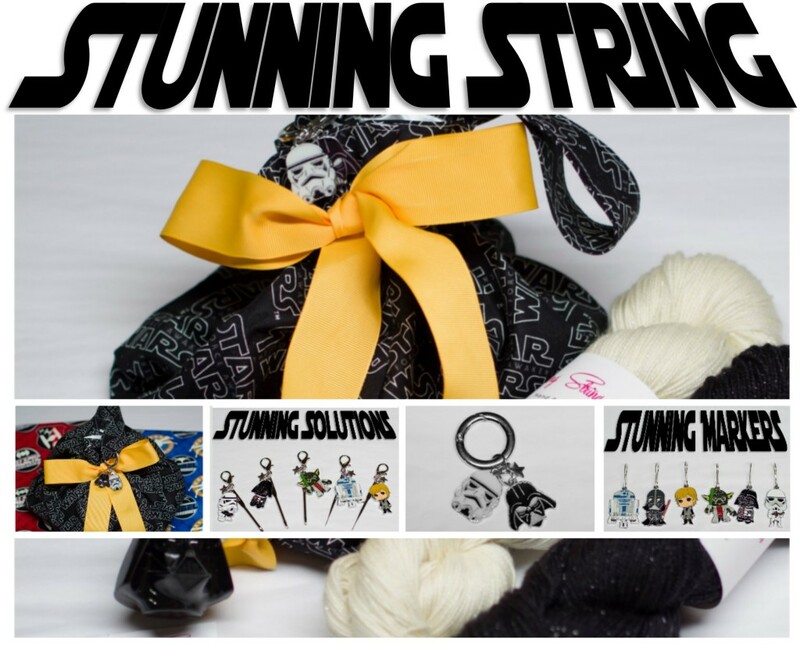 Special Star Wars Yarn Kits and Accessories at Stunning String. Order, or do not, there is no maybe. Don’t wait, they are selling fast. May 4, 2016 by cindy·Comments Off on Ciao Bella! Starting July 1st we will begin our third WPKnits Club Mystery Knit Along for 2016. As we knit our projects, we will learn all about this amazing country’s history, food and people. This will be a 2 color rectangular wrap (or larger), in contrasting colors with each color having their own chance to “shine”. We will be doing some simple lace and adding optional beads. Yarn will be used in equal amounts. You will have the option of making five sizes: a small, medium, or large wrap, an extra large wrap/throw or a ruana. The Bella Fresco pattern is available here for those that haven’t purchased the 2016 eBook. Stunning String Studio is offering limited Bella Fresco MKAL yarn kits in your choice of over 110 stock colors and all 5 sizes, complete with beads and stitch markers. Kit is 10% off for pre-ordering through May 10th. Pattern is discounted to $6 until first Clue is released.